Barye sculpted several small models of Gazelles and Kevel Antelopes in the 1840s. They were popular subjects and were cast for some years. 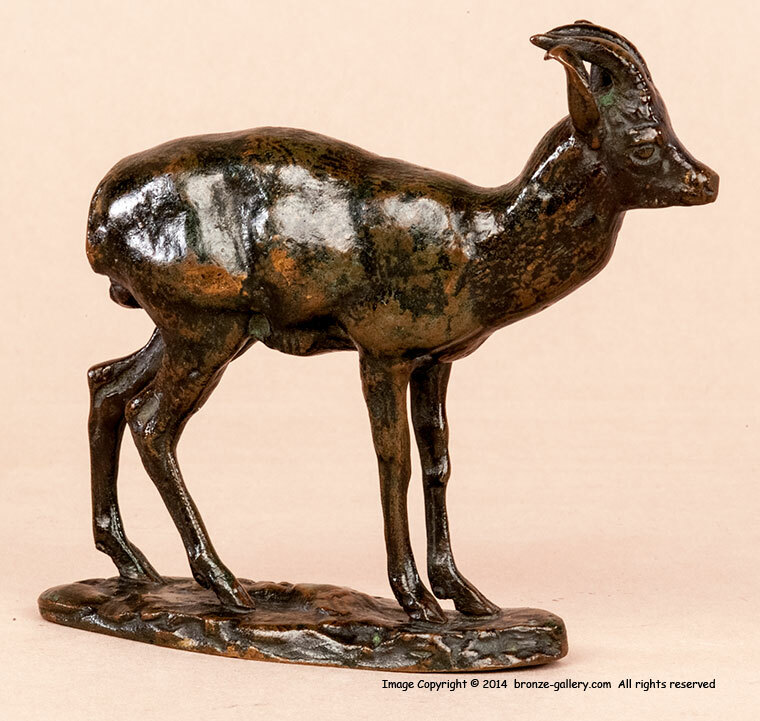 This bronze shows a Gazelle standing at rest with his ears up listening for danger. 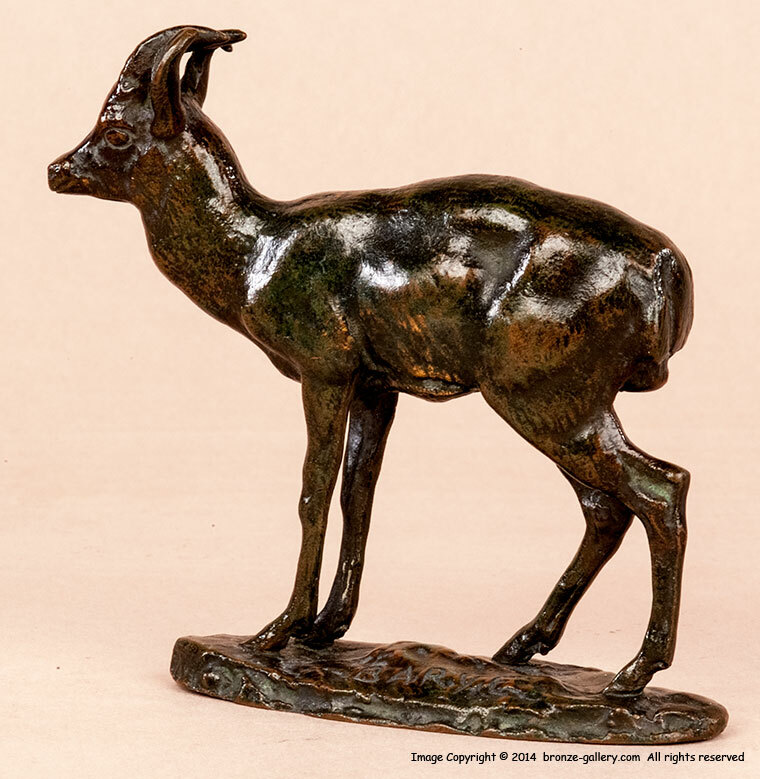 Barye was a master at depicting any animal he turned his hand to and this Gazelle is beautifully done. The bronze is finished with a rich dark brown with a little green patina, it is a fine cabinet bronze of a graceful Gazelle that does not often come on the market.